Having a positive experience of work during your studies can set a good foundation for the rest of your working career. As well as gaining valuable experience, identifying personal strengths and developing skills for future job applications. Undertaking work experience can also help your self-confidence and mental well-being. 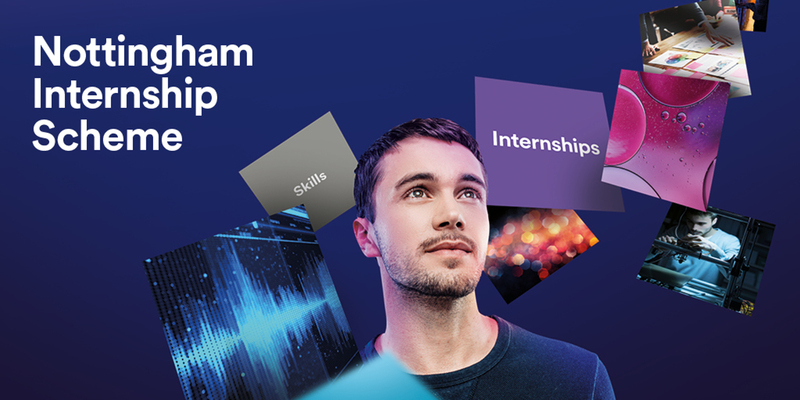 The Nottingham Internship Scheme provides a range of paid work experience opportunities purely for UoN students. Applications are currently open for summer internships until Sunday, 28 April. Participants on the scheme work with local small and medium-sized organisations, who in many instances can be personable and flexible to accommodate your needs. This potentially includes adjustments for interviews as well as working arrangements depending on your circumstances. Organisations benefit more when students are productive and achieve during their internship. Therefore, they are happy to make adjustments so that this can happen. To help you get the most out of the internship, it may be beneficial to speak to a potential employer about your disability so that they know how to best support you. You can talk to Shelagh Roberts, Academic Support Tutor, who would be happy to talk to you about your disability or learning difference to see what support is available to you. You should decide when it is best for you to disclose your disability. Then you can discuss it at any point in the application process or even after you’ve been offered the role. For example, if you feel your disability may affect you in an interview, consider talking to an employer before your interview about how adjustments can be made to help you do your best. Remember that most of the time the employers won’t have detailed knowledge of the nature of your disability and appropriate adjustments so you will need to be clear with them. Highlight strengths that are associated with your disability or that you’ve developed as part of managing it. For example, maybe you’ve learned time management and problem-solving through having to organise extra support and navigate student life. If you are Dyspraxic you may have higher than average levels of empathy, and so on. The employers involved in the programme all have good working relationships with the university, which makes this process easier. We run several workshops about how to make a strong application for an internship. Workshop attendees tend to write very strong applications based on what they learn from these. You can also talk with a member of our team about how and when to talk to an employer about your disability. While ultimately the final decision if and how to do this is down to you; the services can help you understand the options and how to do this in an effective way. In addition, if there are opportunities you are interested in but you are not sure if they will be manageable, speak to a member of our team who will help you find out more information. Take a look at workshop dates, how to apply and other information about the Nottingham Internship Scheme. If you have any questions contact them.